In early November of this year, Typhoon Haiyan roared through the southern portions of the Philippines, killing nearly 7,000 people. Despite the ongoing pleas for help and supplies, not the least of which entails food and clean drinking water, the story of Haiyan relief seems to have fallen out of the minds of many Americans. There are notable exceptions, of course. 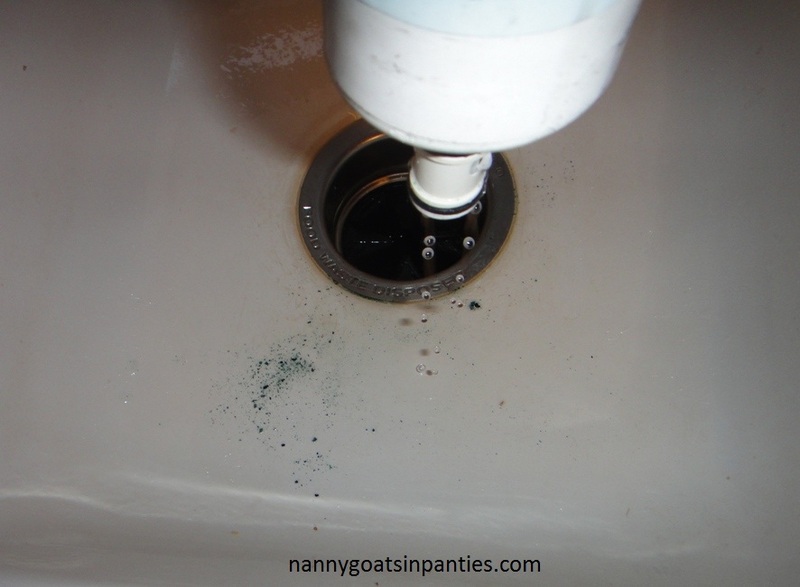 On this blog, I’ve tried to keep a fairly steady drumbeat of information by adding links to relief efforts in our weekly Drinking Water News posts (see some recent examples from our posts on November 15th, November 22nd and December 13th.) I also wrote about being lucky enough to travel to the Philippines to take part in the wedding of a college friend, in part 1 of this post series on how you can help bring clean drinking water and relief to the Philippines. 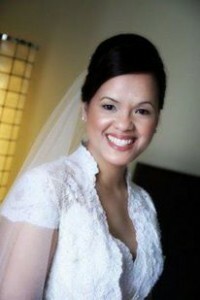 It was there that I first met Juvie Jimenez, the bride in said wedding, pictured above. Juvie, her husband Eric and their friends and family are among those that have not forgotten that more relief is still desperately needed in the Philippines. 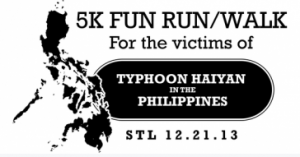 This Saturday, December 21st they will be doing something about it by hosting the 5K Fun Run/Walk St. Louis for Typhoon Haiyan, with proceeds raised going towards UNICEF and the American Red Cross. Could you please share a little of your background with us – and why the relief efforts for Typhoon Haiyan are so important to you personally? I was born and raised in the Philippines. The organizers of this Run/Walk – Evelyn Burrows, Mariejoe Clark, Marie Perez, and me were all born over there. Of course when the typhoon hit the Philippines we all watched closely with a lot of concern. Luckily, our immediate families are safe and only sustained minor damage. However, there are so many that lost everything. We love the Philippines, we still call it home. When Haiyan hit the Philippines, it hit us hard too even though we are an ocean away. What inspired you to organize a 5K to help bring relief to the Philippines? The four of us are a group of friends that walk/run together and we all started participating together in other 5Ks this year to benefit other causes. The races were a lot of fun and all the other participants were so great, as well. The day after the typhoon we were walking and obviously the typhoon was all we could talk about. At that point we were still waiting to hear from all of our family members still over there. Watching the devastation on world media was terrible, but we also have the internet and the Filipino Channel in the US covering the storm, and to witness and hear our fellow countrymen explaining the horror, crying for help, and begging for any information about missing loved ones was so heart wrenching. Our tears turned into action and while we were walking we came up with this idea to organize this 5K. Because we haven’t heard as much about the more current relief efforts in the Philippines lately in the mainstream news, many could be under the impression that the ‘relief’ is now complete. In reality, what are the current conditions several weeks after Typhoon Haiyan hit? Recovery is not nearly complete. In the areas that were completely leveled they are still digging to find the missing people. I believe the current death toll has topped the 6,000 mark and several thousand still missing. Nearly half a million were left homeless. 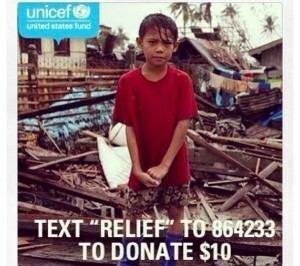 People are just struggling to get the necessities such as clothing, food and clean drinking water. The relief effort is not nearly complete…it has barely begun. I will say this about Filipinos though, we are resilient; we are resourceful; we will persevere. Why do you feel that Typhoon Haiyan relief stories have fallen out of the major news cycles so quickly, when there is so much more to do? It is not that people don’t care, they certainly do. There are several events to benefit the typhoon victims. There are several world events that have happened and it’s also the holidays. The world has continued to turn and, understandably, the focus has shifted to other news items. People have not forgotten though. When we were organizing this event we took this news cycling into consideration. Although it is a cold December in St. Louis right before the holidays we wanted to make sure this event happened while the public was still highly aware of the typhoon. What type of experience can attendees of Saturday’s 5K expect? 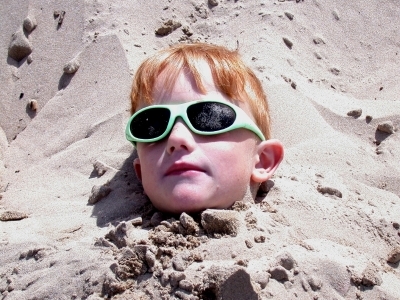 A very laid back experience. This is a non-competitive Run/Walk, you can even bring your kids and/or dogs – just make sure they’re warm and safe. We’re expecting to have a good time, everyone involved has been awesome. It was a bit of a scramble to get all this organized with the holidays and all, but the four of us are so proud of each other for staying on task and pulling this off. Admittedly, there were times when we almost decided to just say, “let’s put this off till spring or summer”, but we always went back to the plight of the victims. They cannot put their situations off until later. Whatever problems we were coming across are trivial compared to what the victims are going through. We don’t have an option to put this off until later. 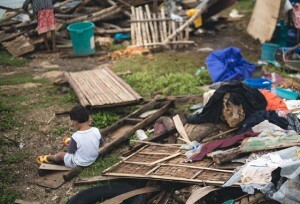 An image of the devastation left in the wake of Typhoon Haiyan in the Philippines, shared by the American Red Cross. How can those unable to attend on Saturday still help to contribute to the Typhoon Haiyan relief efforts? Although we would love to see everyone out there running and walking, we understand it’s a holiday weekend and some people may be out of town. We also understand that some living outside of St. Louis may be unable to travel down and would still like to contribute. Any organization or event, whether it’s our event or not, that you see fit to help the relief effort is greatly appreciated. Previous post: Drinking Water News You Need: Plastic Water Bottles May Contribute to Migraines, Philippine Recovery Efforts Continue, Soap Star Supports Clean Water & A Perfect Christmas Gift!